I am trying out this way of giving some book reviews without giving actual reviews because I discovered that writing a full review is a lot of work (even if it is worthwhile), and a lot of pressure, and in a limited time environment, not something I enjoy nearly as much as simply sharing informally about what I have been reading. One day, if I ever decide to give up my day job, maybe I’ll invest time in full-fledged reviews. In the meantime, if you are looking for ideas…here are my 2 bits among the thousands out there. I follow this author on Twitter (@rynedp) and enjoy his casual demeanor and sense of humor. When I first started following him, this was the book he was promoting at the time, so I put it on my list and finally got around to reading it and glad I did. It is a mystery – but not a mainstream one. It is not fast-paced, but unanswered questions propel you forward in the story. It’s greatest strength is in the lyrical nature. Pearson is a wordsmith. 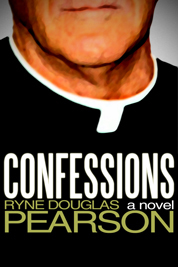 It’s about a priest who faces the personal and moral dilemma of taking a last rites confession of someone who was involved in his sister’s murder. I like the authentic nature of the ethical predicament the priest encounters, though sometimes struggled to get a full grasp of his character as matched with the narrative style. FYI, other writing by Pearson includes Simple Simon, which became the movie, “Mercury Rising”, and he also wrote the screenplay for “Knowing”. You can also check out my official Amazon review, too. 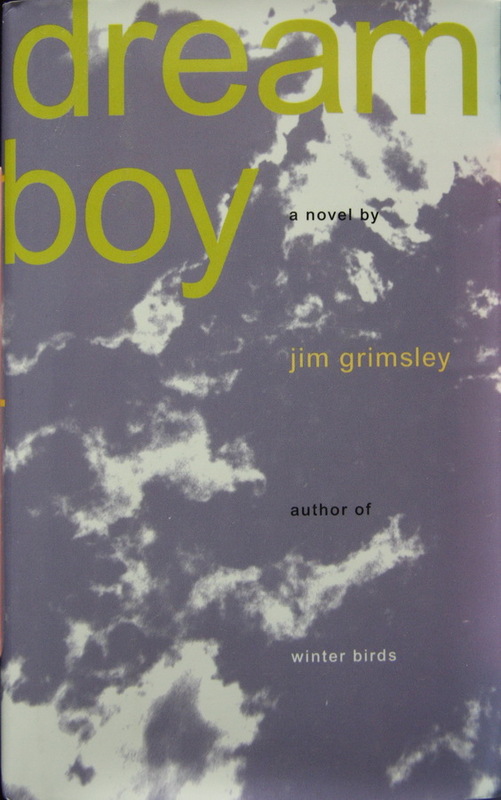 The book jacket describes this novel as being one that tells stories of characters whose lives intersect with two primary characters… which is true, although the two primary characters are questionable in that role. 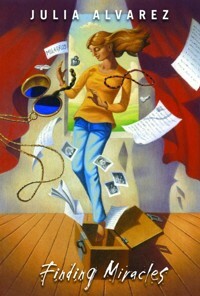 It is the 2011 Fiction Pulitzer Prize winner for the snapshot of American culture in technology and media. And I suppose it does this. Each chapter is a character story at a different point in time…seesawing between past and present. Each character has a connection to another in the book and I liked the tangential lines they formed. I would like it better if I felt there would be an overall connection in the end, a purpose – perhaps how they all affected the primary characters listed on the book jacket. However, many did not and while some can probably appreciate those chapters as single entity stories within the fabric of the overall tale, I needed more. Many of the stories are very sad or depressing. But they started to look up towards the end and the final story did bring the novel full circle, of a fashion. In other words, this helped make it more satisfying for me. I have mixed feelings about this novel. It mostly has a great message for kids, but as an adult – a teacher and parent – it has a couple of other issues that are a little hard to overcome. The story is of a girl who is a continual mischief-maker who ultimately turns mischief into fights at school out of a feeling that she is simply a bad person. The exposition that leads us to this character sentiment is not great, but kids won’t have that problem. Delly, the main character, meets a new girl, Ferris Boyd, who helps Delly overcome her feelings of low self-worth, but also discovers the heavier issues that face Ferris Boyd, who is suffering both physical abuse and neglect from her father. 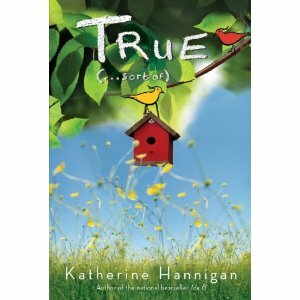 What I like about the book is that Hannigan really shows how a kid thinks (and therefore helps adults understand how a kid thinks), and there are a lot of great take-away themes from the story. What disturbs me is that Ferris Boyd is introduced to her classmates (before she arrives) as one who is not to be touched and doesn’t talk. As soon as I read those lines I knew immediately that she was being abused. Kids reading this wouldn’t – and that is okay, but it disturbs me to portray a teacher, administrator, and counselor as three trained professionals who would not see this red flag immediately. There are other adult interactions that also frustrate me; so the question is, how much of these messages actually make it to the child reader? I don’t know, but the young reader-intended messages are stronger, I think – strong enough to counterbalance the other issues. Saw a couple of former colleagues of mine chat about this on Facebook, and the author is a local (for me, MN) one, so I picked it up from the library when I saw it in the “New Books” section. The story brings Raine, a 12-year old girl, and her mother to a rural estate for a summer – but Raine’s mother refuses to share her real reasons for doing so, which end up being so that she can meet her absentee father. 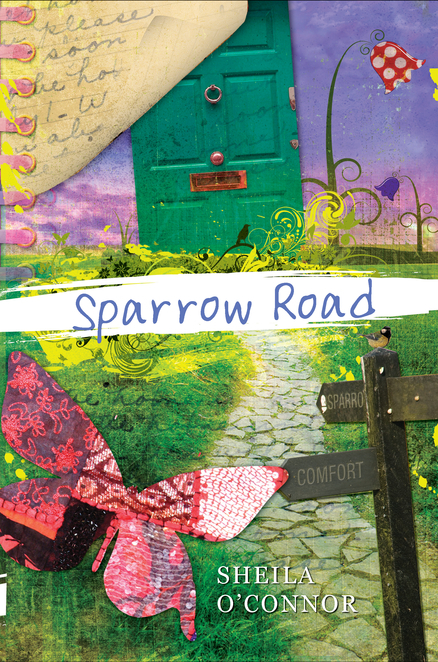 Until Raine gets this information from her mother, she’s quickly befriended by 3 of the 4 visiting artists who are staying at Sparrow Road for the summer, too, in order to write, paint, and sculpt. The relationships between these adults and Raine are lovely. I discovered that I could relate to Raine all to well and was more frustrated than she was when neither her mother nor the owner of the estate would answer her questions. “So many questions” is all that her mother would say and I would be retorting just like Raine, “well then either answer them or be straight with me that you won’t answer them instead of pretending that the answers don’t exist”. Unlike the adult aspects of True…(sort of), I at least felt that the mother in this story acted realistically, even if not always the way I wanted her to. I enjoyed this novel and its characters. I ended up having some major issues with this book and it rested primarily on the parents – and this time, I believe it sends the wrong message to young readers. Mistake #1: treating this teenager like a child and still using words like “children come to families in different ways” felt patronizing. Mistake #2: The character’s name is Milly, short for Millicent… but that was not her original name. Her original name was Milagros. This couple was in the Peace Corps for heaven’s sake, they would both know better than to change her name and realistically, they would never even want to hide this part of her identity. That kind of volunteer has a much better understanding and cultural savvy and relationship with his/her host country than the average 2-week volunteer. Mistake #3: Finally, they allow Milly to go to her home country with another family with the request that she not seek out her birth history. What? And are they really that naïve to think she won’t end up doing that? In the end, though I think I was supposed to come away with a celebratory nature of Milly and her acceptance of her roots, instead I felt shame in the White Do-Gooders who were seemingly ashamed of their daughter’s heritage. Can’t remember where I got this recommendation… but it was from something I read online. Oh yeah – an NPR thing… wish I could give you more – some commemorative thing? I know, you don’t even care. This is a heartbreaking story about Nathan, a high school boy who has been suffering sexual abuse by his father. His father has difficulty holding down a job, so they move around a lot. Recently they’ve moved to some small town, next door to another high school boy, Roy. Nathan and Roy begin a romantic relationship, which remains hidden in their conservative town. It is a relationship that is both touching and heartbreaking. I liked the authentic nature of their relationship. Nathan is naturally reserved and follows Roy’s lead in all things. Roy is confident, except in being open about his homosexuality – and with good reason. There is evidence that community members would clearly be unaccepting. Parts of this novel were more sexually explicit than I like to see in a YA novel of any sort and the ending is a bit on the surreal side, though what leads up to it is strikingly heartrending. And that’s my Recent Reads and Recs for now. I liked doing that far better than worrying about any sort of official review. Phew. I’ll happily pull together another one when I have a few more novels behind me. My current read: The Untelling, an adult novel by Tayari Jones. What are you reading? What should I be reading next? 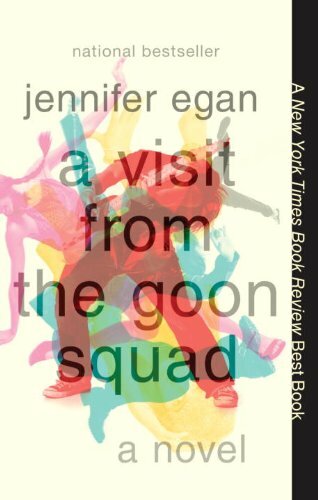 This entry was posted in Reading and tagged A Visit From the Goon Squad, books, Confessions, Dream Boy, Finding Miracles, Jennifer Egan, Jim Grimsley, Julia Alvarez, Katherine Hannigan, reading, Recent Reads and Recs, review, Ryne Douglas Pearson, Sheila O'Connor, Sparrow Road, True...(Sort of). Bookmark the permalink. I really do hope you’ll be doing more of these posts- I loved this. I’ll definitely be checking out several of these books. I’m really sad the Julia Alvarez novel wasn’t better. I wish I had something to recommend, but I’m more ADD in my reading right now than I ever have been at any point in my life. I think I’m working on about six books, and none of them are fiction…which is probably the crux of my problem.